Monkey City, Lopburi, Thailand Lopburi is a city in Thailand, capital of the Lopburi province. The city is located about 150km north-east of Bangkok. 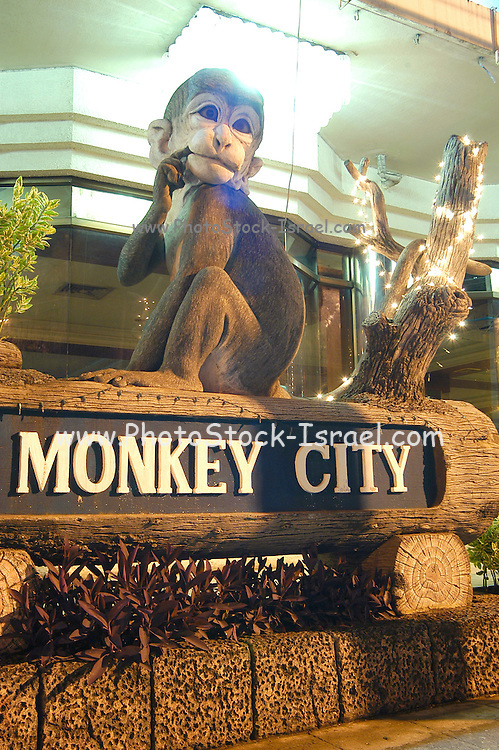 Today the city is most famous because of its monkeys. Especially around the Khmer temple Prang Sam Yot hundreds of Crab-Eating Macaques (Macaca fascicularis) live in the middle of the city. Especially during the Monkey festival in November they are fed by the local people, but being used to humans they steal whatever food they can find.